Dr. Andre believes that mind and body are highly interconnected and that they need to be targeted together to achieve a healthy lifestyle that is needed to realize your goals and reach an ultimate level of well-being. Therefore, she is proud to work with “Life Health Care” – a leading integrative healthcare organisation led by international practitioners who are committed to providing a patient-centric and evidence-based approach towards medical care. 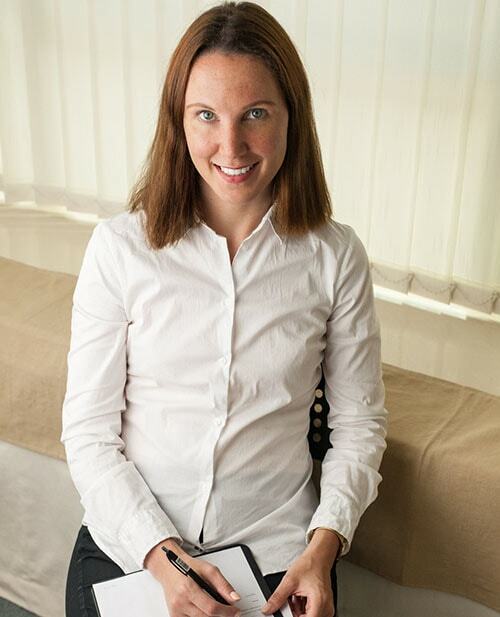 Dr. Andre is a Hong Kong based Chartered Psychologist who is passionate about clinical psychology since her very early years and received her clinical training in Germany. Working and living in different countries have given Dr. Andre an understanding of the many adjustments that people are faced with when leaving their home countries and growing up in different cultures. It took me a long time to find a psychologist I felt comfortable and understood with. Dr. Andre exceeded my expectations with her non-judgmental, professional and warm manner. The relief these session have brought to me has positively affected every part of my life. I have never before felt so looked after by a mental health professional. Dr. Andre consistently feels approachable and available, and has played a huge role in improving my life balance. It is my pleasure to genuinely recommend her to any future clients. Dr. Andre was an immense help to me during what was a difficult time personally and professionally. Her empathy, coupled with a relaxed environment and non-judgemental style provided the perfect base for me to address and deal with my issues and emerge stronger. She is perceptive and insightful and well equipped to help anyone who is willing to take the sometimes-difficult step to seek help. I have been seeing Dr. Andre since Feb 2016 which has been one the toughest and most challenging years of both my personal and professional life. Working closely with Dr. Andre has not only seen me get back on track, but has propelled me to new heights. Dr. Andre's empathic style coupled with her ability to immediately zero in on the core issues enable her to very swiftly & effectively offer support and guidance.